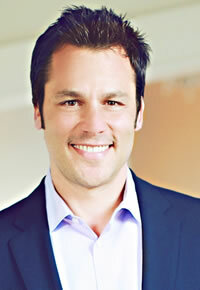 Ryan Estis has more than 20 years of experience as a top-performing sales professional and leader. As the former chief strategy officer for the McCann Worldgroup advertising agency NAS, he brings a fresh perspective to business events. As a keynote speaker, Ryan is known for his innovative ideas on leading change, improving sales effectiveness and preparing for the future of work. He was recently recognized as one of “the best keynote speakers ever heard” by Meetings & Conventions magazine alongside Tony Robbins, Bill Gates, Colin Powell and Mike Ditka. Ryan supports the world’s leading brands, including Liberty Mutual, Darden Restaurants, Goodyear, the Dallas Cowboys, Medtronic, ECCO USA and Blue Cross Blue Shield. He is a faculty member for the Institute of Management Studies, a member of theSmartBrief on Workforce Advisory Board and a certified Human Capital Strategist. Ryan and his team publish original research featuring client case studies to expand the live event experience. He is also the author of a popular blog on business performance. His writing has been featured in SmartBrief, Business News Network, CRN, Crain’s Business, Workforce Management Magazine, HR Professional Magazine, HR Times, Yahoo Business, SHRM publications and Staffing Management magazine. This high-impact keynote examines the dramatic evolution in professional sales. Ryan, a former chief sales officer, dissects how the best sales organizations are meeting the expectations of more sophisticated and demanding customers. This keynote can easily align with an existing sales methodology and demonstrates how an entirely new set of sales competencies are required to compete and win business in complex and competitive sales engagements. Ryan explores proven habits of today’s top producers. He challenges conventional sales wisdom and offers the audience practical ideas they can immediately leverage to drive business growth. Earning attention, opportunity and partnership with today’s customer requires a sophisticated sales strategy. Ryan inspires sales organizations to work toward a new seller competency with a focus on category expertise and consultative skills. The outcome of this keynote will be a sales organization more prepared to compete and win business in competitive and complex sales engagements. This keynote prepares leaders to thrive in today’s increasingly connected, competitive business environment. Ryan challenges conventional leadership practices and explores progressive techniques and technology that pace with the evolving needs of today’s knowledge worker. As our workforce and customers evolve, the approach to effective leadership also needs to transform. Traditional command and control leadership is giving way to a more connected, collaborative and flexible approach to managing people and performance. This interactive keynote delivers new ideas, information and actionable insights that leaders can leverage immediately to drive productivity and performance. The outcome of this keynote will be leaders who are prepared to capture employee commitment, elevate productivity and performance and drive business growth. This keynote helps attendees tap into their deep reservoir of potential and unleash their unique capability into the world. Ryan helps people see new opportunity through techniques that remove the barriers of fear, doubt and uncertainty that threaten to inhibit performance. This important message introduces key insights about productivity and performance. Ryan coaches the audience through embracing change to achieve more meaning, mastery and momentum in their work life. He introduces several real-life superheroes, examples of the incredible results you can expect when you embrace your own potential. The keynote serves as a call to action for those who are looking for fulfillment from their work and are determined to achieve their full potential. Participants will emerge better prepared to become their very best and achieve their next big, breakthrough moment. The outcome of this keynote will be an audience inspired to take action and become the very best version of themselves. This keynote reviews how to cultivate a high-engagement, high-performance work culture. As we prepare for the next growth cycle in business, leaders need to understand the needs and expectations of the modern workforce. Ryan pushes back on conventional thinking with new research and case studies from category-leading companies that succeed at maximizing human potential and elevating performance. To win in today’s market, you need a healthy organization: tuned-in employees, authentic leadership, open communication and trust. Leaders are called to cultivate the kind of workplace where people come first and performance and profit follow. Most organizations leave too many opportunities on the table and waste a huge amount of their people’s potential. This keynote offers practical advice to help you reverse that trend. After this keynote, audiences and organizations will understand what it takes to elevate engagement, unleash human potential and compete to win in the new world of work.